Can Physician Data Reduce Opioid Prescription Rates? A recent study has shown that 65% of emergency department physicians underestimated the number of opioid prescriptions they wrote—but that revealing their actual rates led them to substantially decrease the number of opioids they prescribed, with the change lasting a full year. 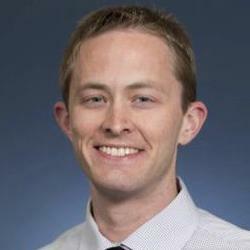 Michael, an assistant professor of emergency medicine at the University of Colorado School of Medicine, and his team started by analyzing the Electronic Health Records (EHR) of 109 emergency room doctors at 4 different hospitals to see each’s individual rates of opioid prescriptions. Next, they surveyed 51 of the doctors, asking them what they thought their own rates of prescriptions were for opioids, more than half of which underestimated the number of opioids they had prescribed. Then, the researchers showed the doctors their individual data compared to the data of their colleagues and continued to track their prescription rates for 12 months, while otherwise remaining out of contact. Whether or not they had seen their data or underestimated their own prescription rates, all of the doctors decreased their opioid prescriptions over the next year by about 40%, equating to 4.3 prescriptions per 100 patients. Michael attributed this to greater awareness and guidelines related to the opioid epidemic, although, doctors who had underestimated their rates decreased by significantly more than those who had accurately estimated their prescription rates at the start of the study. Michael said that while they may not be able to determine the exact right number of prescriptions of opioids that a doctor should prescribe, looking at the overall rates can help. This type of intervention is “deceptively simple,” he explained, but it was surprisingly difficult to get this data using electronic health records. He noted that he hopes that this study helps people see how valuable it can be for all types of healthcare related behaviors. The study, “Effect of a Data‐driven Intervention on Opioid Prescribing Intensity Among Emergency Department Providers: A Randomized Controlled Trial,” was published in Academic Emergency Medicine.